I have decided to thin out my Levin collection a bit, I have 12 at the moment, so the first to go will be my beloved 1950 Levin Model 13 Ambassadör. 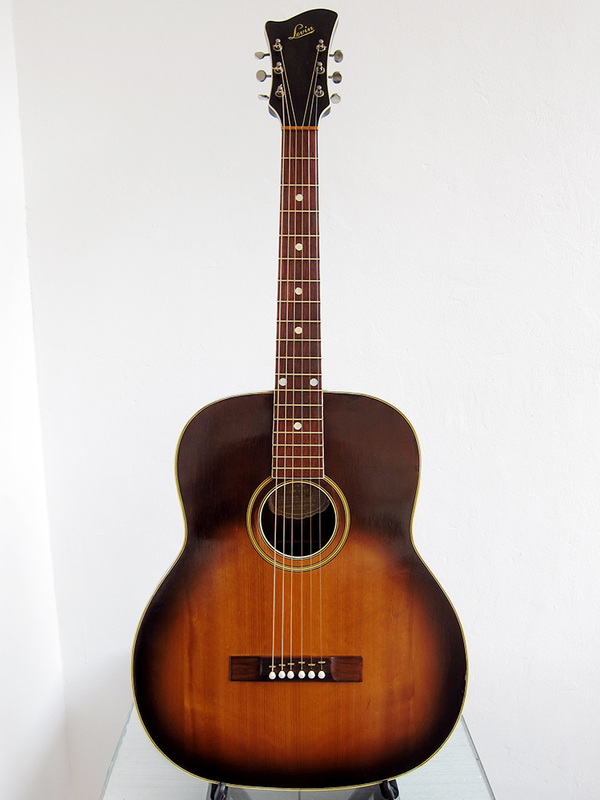 It was restored a few years ago by GammelGura, a great luthier in Örnsköldsvik, Sweden. With new bronze frets, a neck re-set, cracks glued and a new bridge was created to improve the intonation, the rest is all original. It even has the sticker on the back of the head from the guitar shop in Örnsköldsvik where the guitar was bought 65 years ago. If you are interested in the guitar send me an email or give me a call, all info can be found on the For sale page.